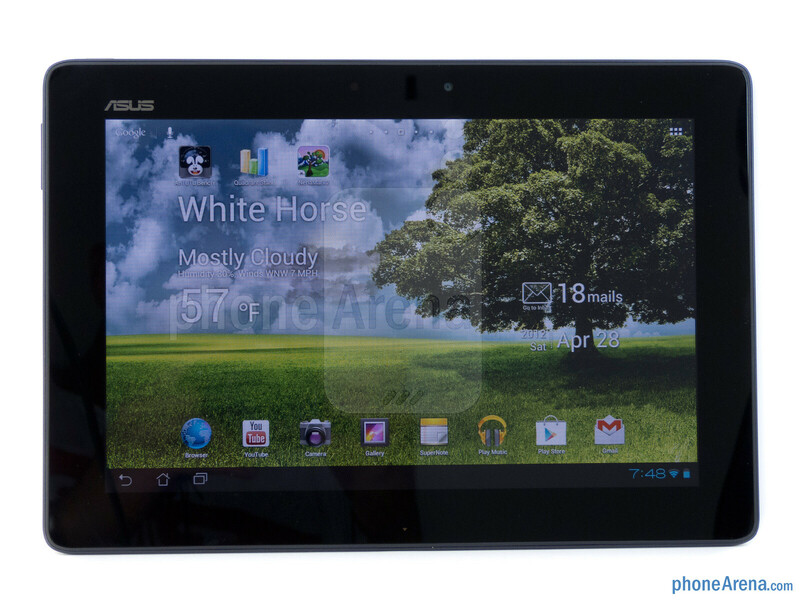 In the Android sphere, the Asus Transformer Prime is regarded by many as the best tablet, mainly because it flaunts some cutting-edge hardware and a killer industrial design. Well, if you prefer something a bit more easy on the wallet, you won’t need to look that far – that’s because the Asus Transformer Pad 300 catches our eyes with its $399.99 price point. With the $100 difference in price over its renowned sibling, we’re not getting a tablet that’s skimping out on the goods, as the Transformer Pad 300 still features a mighty quad-core processor under the hood. For the most part, the Asus Transformer Pad 300 doesn’t deviate from previous offerings, as it continues to employ the same design principles akin to Asus’ line of tablets. Overall, it looks almost exactly like the Transformer Prime, but it utilizes a lower quality textured plastic casing (available in blue, red, and white). 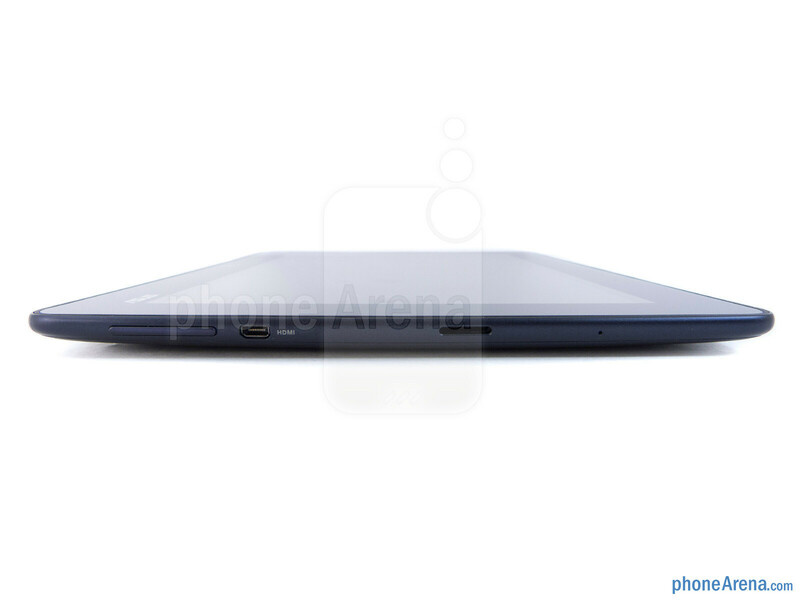 Although it manages to retain a very similar streamlined construction (0.39” thick), its weight has been bumped up to 635 grams. Despite its all-too conventional appearance, we’re comforted by its comfortable feel in the hand and solid construction. Tucked in its usual spot above the display, a 1.3-megapixel front-facing camera is there for all our self-portrait snapshots and video chatting sessions. 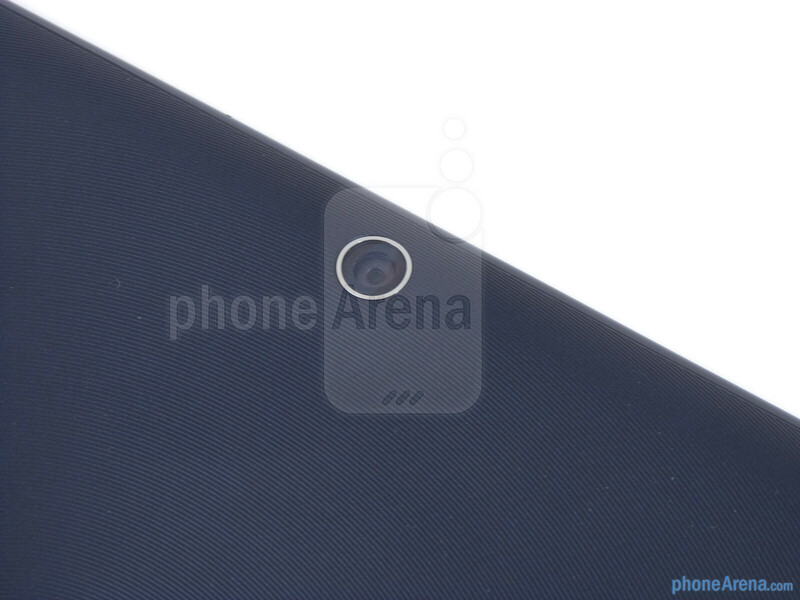 Along the left edge of the tablet, we find a handful of things such the microphone, microSD slot, and volume control. 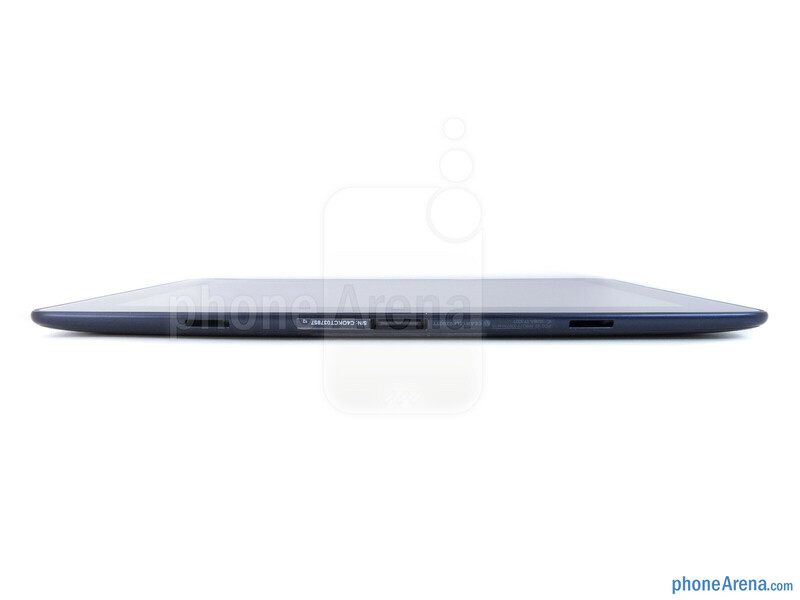 Meanwhile, the only things found on the top side are the narrow sized power button and secondary microphone. 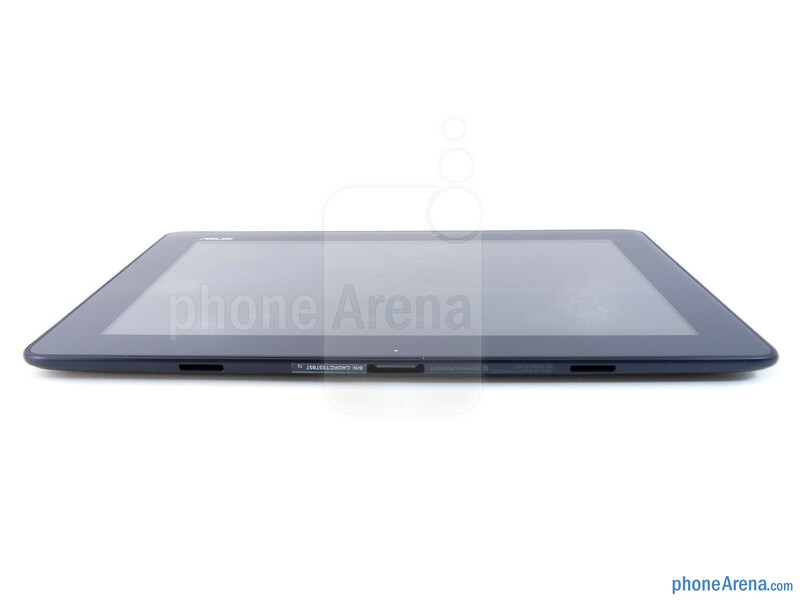 All by its lonesome self, the tablet’s 3.5mm headset jack is found on the right side of the tablet. Lastly, the proprietary charging power and dock connection slots are lining the bottom portion. Flip it around, there’s an 8-megapixel auto-focus camera that’s outlined with a chrome trim, while a narrow looking speaker grill is located not too far away. After being mesmerized by the stunning displays found with the new iPad (3) and Asus Transformer Prime, we find ourselves just being content with the one on the Transformer Pad 300. 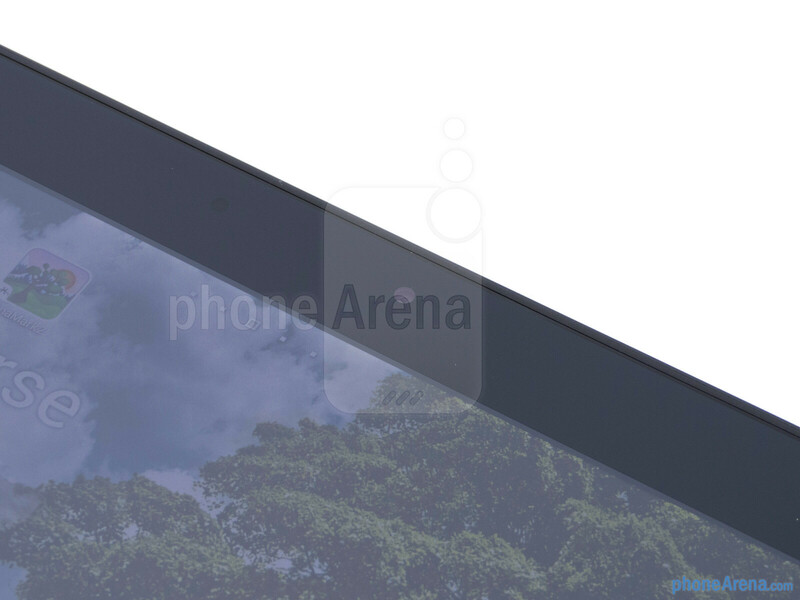 Specifically, it features a 10.1” WXGA (1280 x 800) IPS display, which is actually the same one used by the original Eee Pad Transformer. By today’s standards, its resolution is common amongst 10-inch sized tablets – thus, allowing us to make out fine text with little issues. Moreover, since it’s an IPS panel that we’re talking about, it exhibits all the pleasing qualities we expect to find, like having good viewing angles, a high-contrast appearance, and neutral looking colors. What about the front facing camera? I don't care about rear end camera on a tablet. Agreed. Nobody carries their tablet around to take pics. He's talking about the quality and pic samlples. Not the fact that it is 1.3MP, that doesn't tell you much of anything. Usually these front facing cameras are horrible. Grainy, low quality, washed out colors etc etc. However, i have never seen a tablet review comparing front cameras. Wrong. Its a great way to take a pic and immediately post to ebay or craigslist. Its also a great way to record your team play if you're a coach and provide feedback. Same goes for lots of other activities that benefit from feedback. 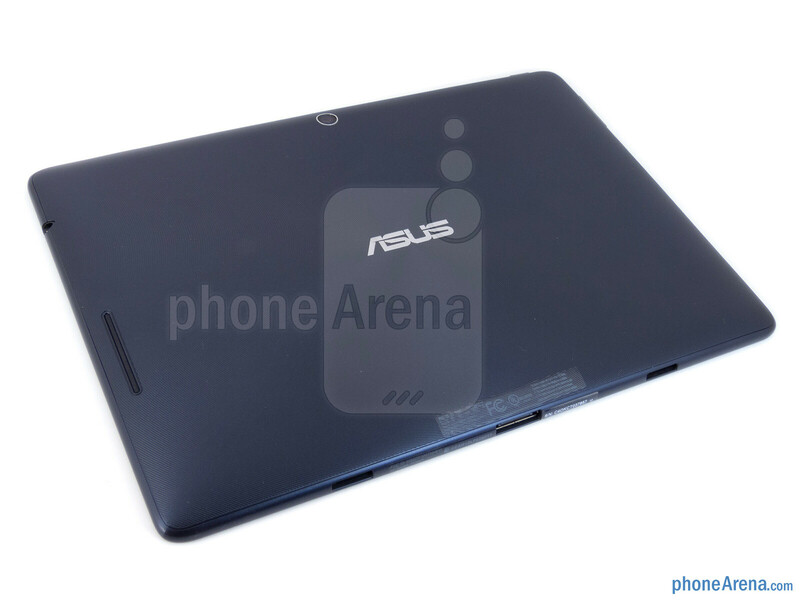 However, you do need a decent camera, which Asus lacks. I would rather have this one than my Prime, the prime has s**tty wifi because of the "Quality metal finnish" Plastic's ftw DO YOU HEAR ME PHONE ARENA? LOL man i have a Prime too, but without problems in the Wi-Fi signal, is only a bit worst than my smartphone. I doubt I would ever use the camera on a tablet. If I want to take a picture using both hands, I have my Nikon DSLR for that. I think hardware companies toss in a camera as a fluff feature, and not as a piece of serious hardware. 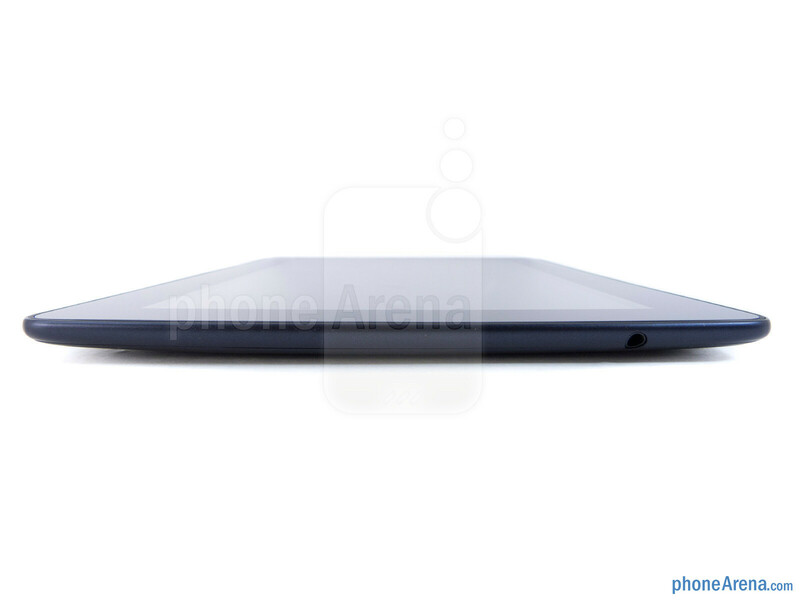 As for front-facing, most are lackluster. You can only do so much with 1.3 MP. Not much of an image there to process. When PA tests, they use the stock android browser. i think he means that would the same problem still be there if they used a third party browser. I own both an Android phone and tablet, and I find that not many of the 3rd party browsers preform darastically better than the stock one. I think that only Opera Mobile provides an experience that is much better than the stock. They others are better (or worse) in some ways, but I find it is just easiest to use the stock browser for most tasks. 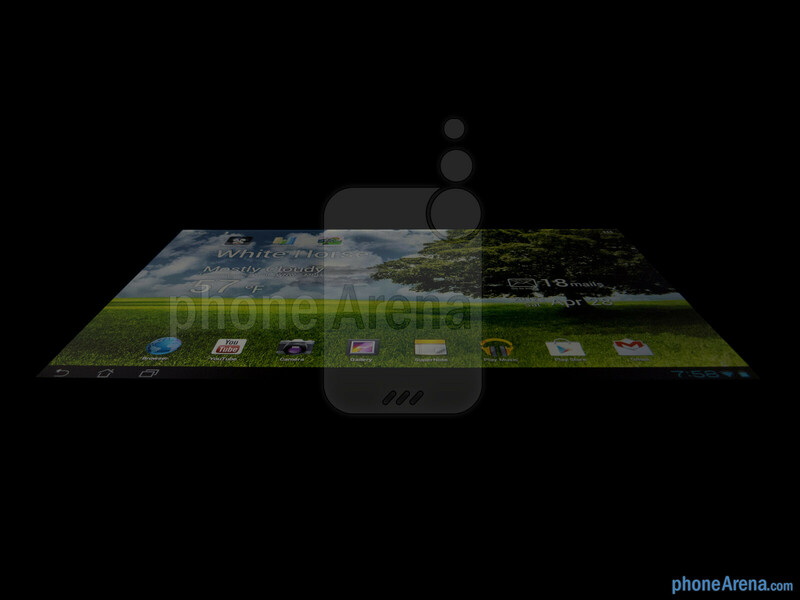 The web browser experience is an on going issue with many ICS quad core devices. The One X also suffers the same issue as well. 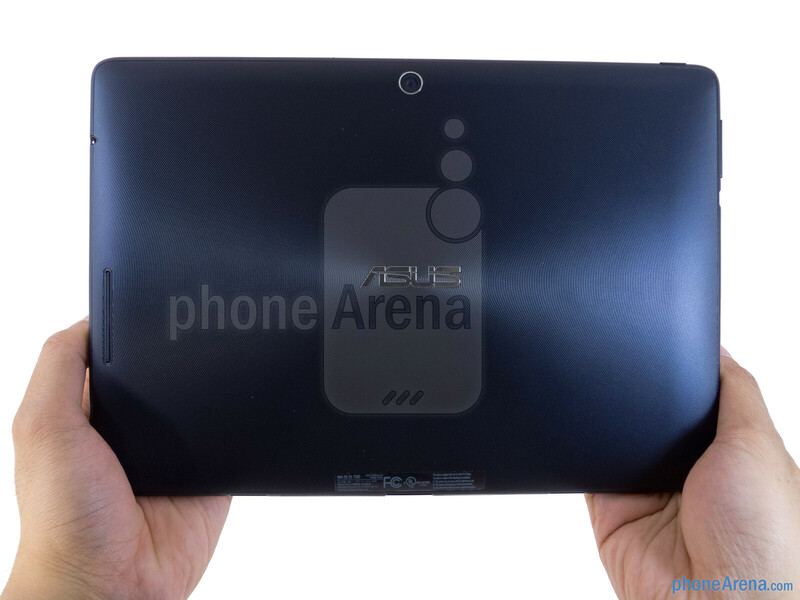 when will asus produce a 7" tablet with powerful hardwares. 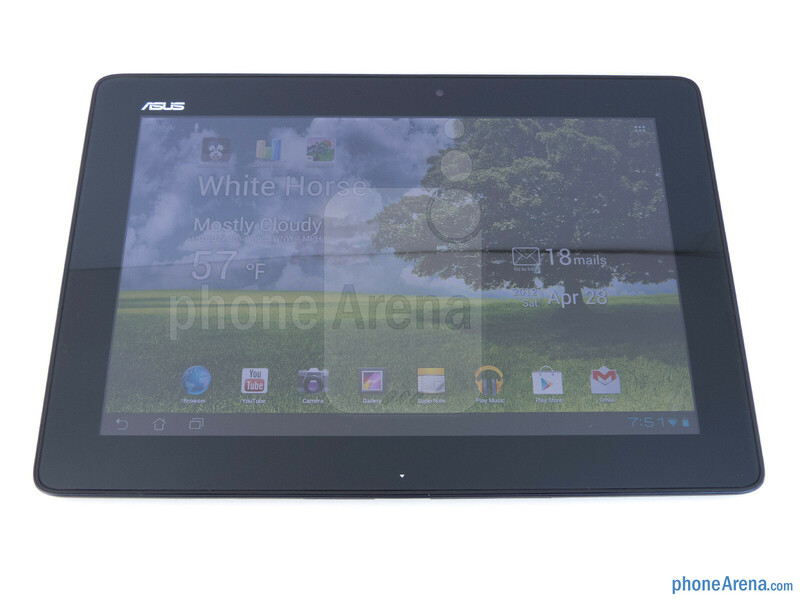 I want to buy an asus tablet due to quality and speed and also a 7" display. I don't want a too big display, 7" is enough for me. 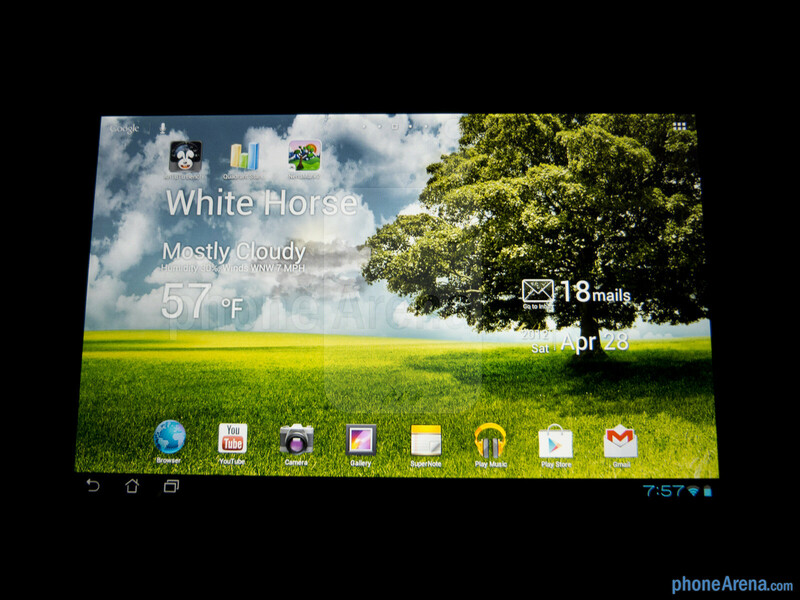 But I'm stuck with samsung galaxy tab 2 7". Me too, about the GPS is not necessary, in most Prime units it simply doesn't work. 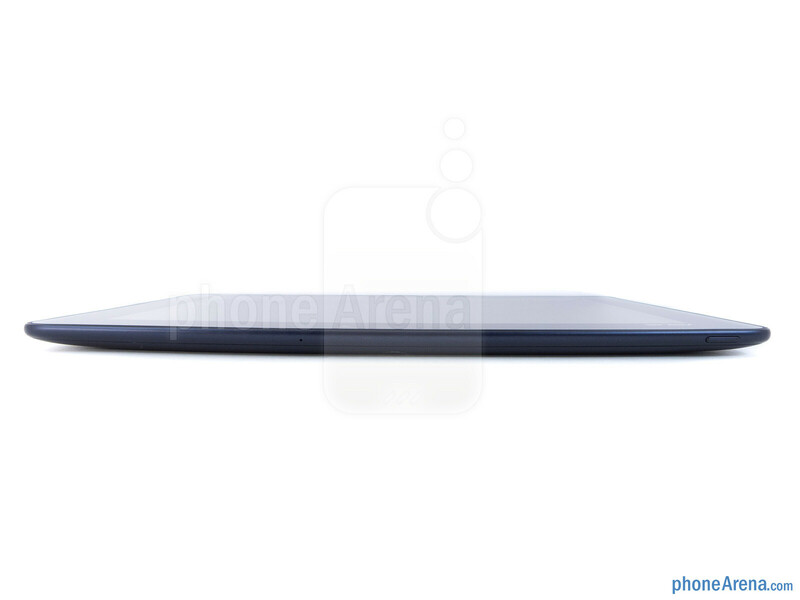 Lots of people are using 5 1/2 inch Samsung Notes for phones without even realizing they look like tools. And I've seen a handful of people using tablets to take pics and videos. If they have a decent camera it actually makes sense because you can view and edit right on the tablet. If only they would put a decent camera into an android tablet. About this cons: "Inconsistent web browsing performance" HOW is it possible with the same CPU and OS of the TF201 (Prime)? and this "Terrible low lighting performance with its camera" Who takes photos with low light with its tablet, what about talking about the front facing camera? I think that you don't talk about it because the new iPad has the worstest camera in the world of tablet !!! Same again, good review, biased voting procedure !!! So basically a device that doesn't have a file explorer no flash no DLNA no USB support no desktop User Agent, 9/10. A device that sacrifies the most useless thing ever made on a tablet in order to cost reasonably less, 7.5/10. P.S: Sluggish web performance? Ever heard of Opera? 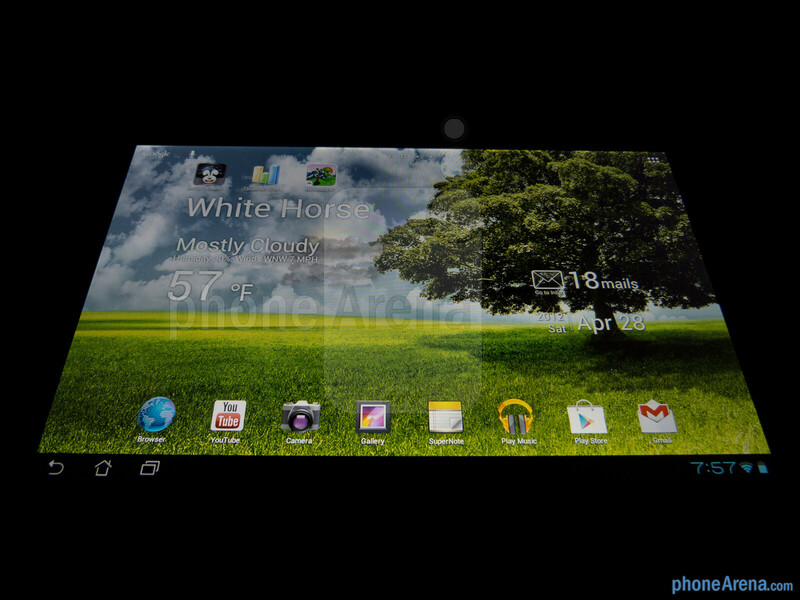 Or just for the 9/10 tablet we take in consideration third party apps? Please introduce us some people that make photos with a tablet beside some funny japanese tourists. The only purpose for the rear camera would be augmented reality, but noone made a decent game with that technology. He does sound like a Japanese tourist doesn't he? does anybody know if there is going to be a new TF pad around may-june? Perhaps one that looks like the TF201(i think) but that works correctly? that i would buy. 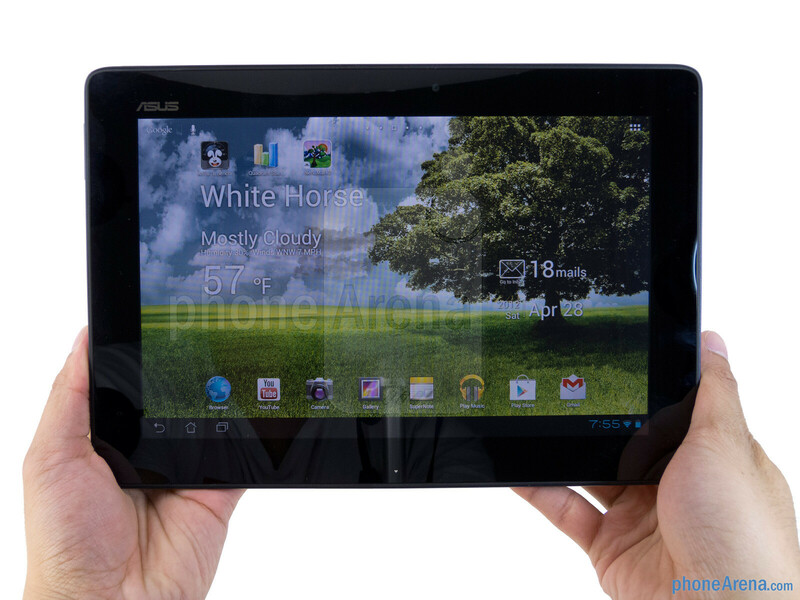 Asus Transformer Pad Infinity. It will be available in May-June. 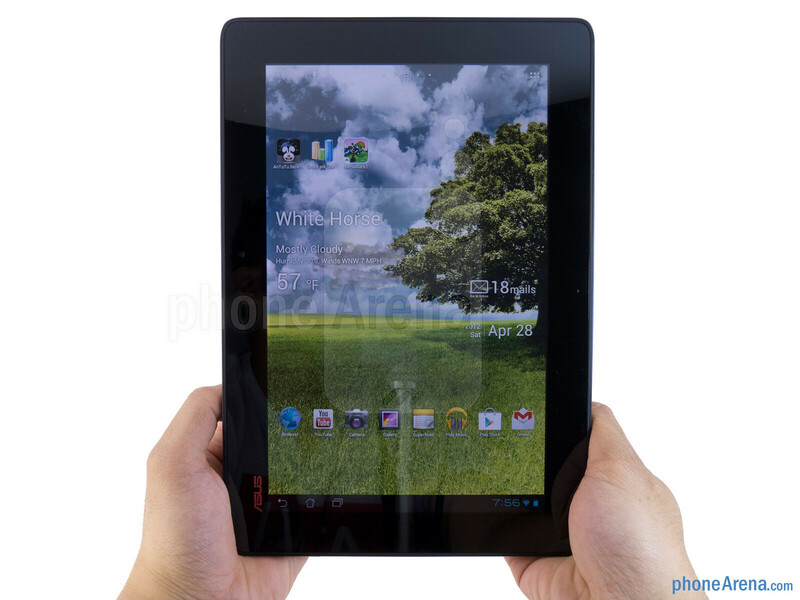 You get a Quad Core Tablet with an IPS screen for under $400.... The hell with the back camera performance. 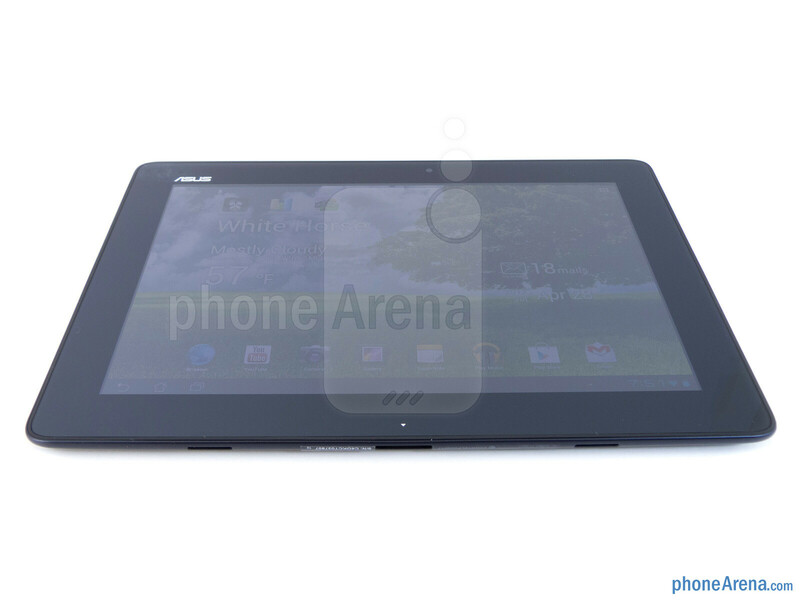 I always tell my friends that ASUS tablets are good but they're still unfinished products. A mobile phone of £100 has both wifi & 3G, and dont know why Asus are not capable of including both wifi & 3G in their tablets?! Apple iPad still remains the best tablet.